Current Nook HD+ home screen. Apex Launcher with Axis icon set and Maui Pastel wallpaper. 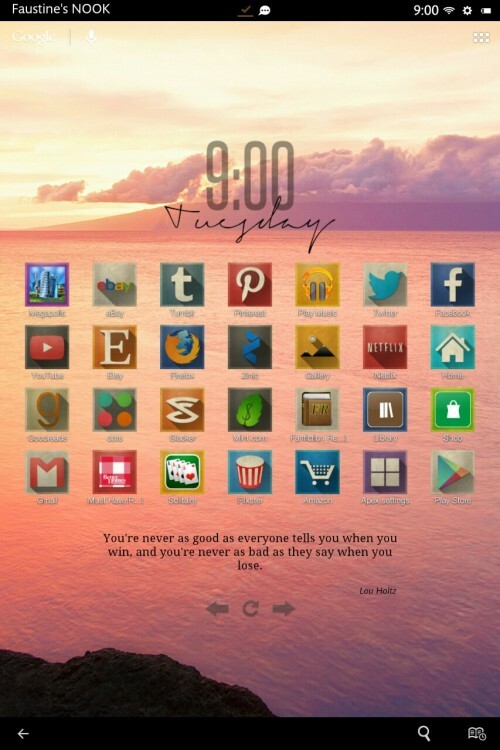 Clock is using UCCW with the Elegante skin. Quotes widget is using Brilliant Quotes. ← Even Months Later, Still The Best Birthday Gift EVER!